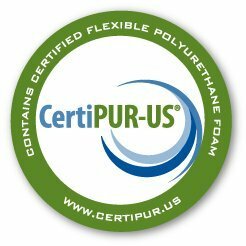 Premium orthopedic-grade memory foam mattresses are prohibitively expensive and may leave you considering a sacrifice to comfort, but there’s no need to toss away your old mattress just yet! Milliard Gel Infused Memory Foam Toppers lay on top of any type of mattress to add supple texture and support for a premium level of comfort without the compromise to your wallet. Top That With Egg Crate!! 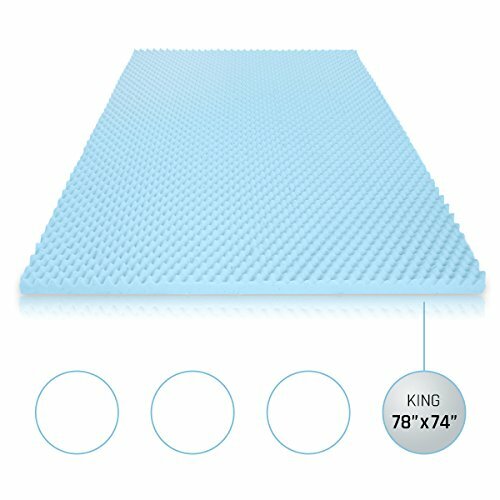 The topper acts like a mini-mattress to achieve the body-contouring properties of typical memory foam mattresses, but uses your existing mattress for support – similar to premium pillow-top mattresses. The “egg crate” texture gently compresses under heavy points of contact between your body and the foam to provide additional support, and lifts areas of lesser contact to naturally restore your posture. Through minimizing the points of contact made with the bed, “egg crate” can help improve circulation and reduce bed sores. 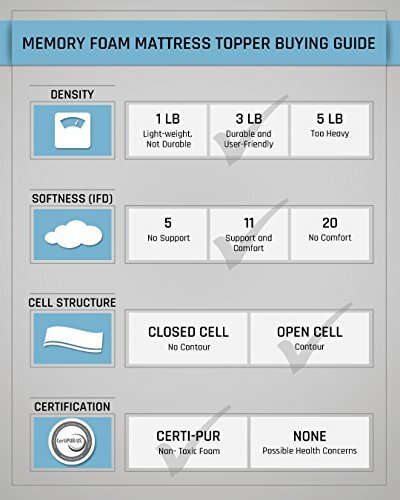 Memory foam is supple and supportive, but it’s also an effective insulator. This may not be such a problem during colder months, but you may not appreciate it when the temperature rises, so we’ve perforated our memory foam with specifically patterned aeration channels to circulate cool air around you with the warmer air generated by your body. We’ve also infused the memory foam with endothermic cooling gel to conduct excess heat away from your body so you can be cool while the foam is under pressure. 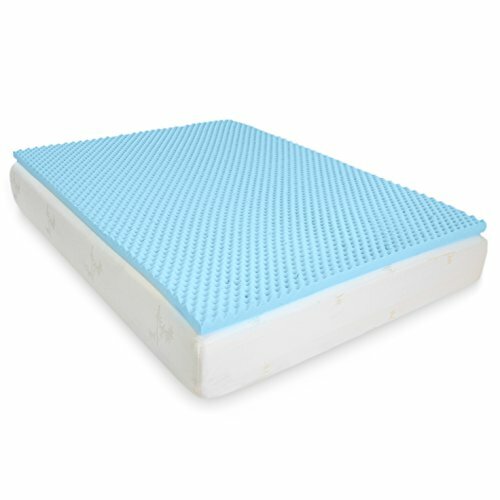 Maximum comfort and relief – Constructed with luxurious 2-inch thick, 100% gel memory foam with an egg crate texture that softly contours to your body’s lesser points of contact to reduce pressure points, prevent soreness, and relieve stress, joint pain, muscle pain, arthritis symptoms, and even help improve circulation. 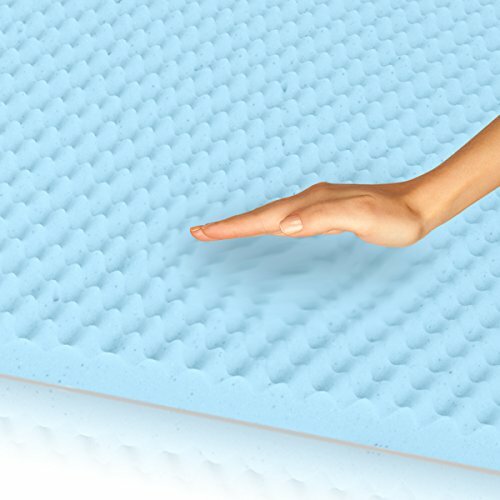 Long lasting – Premium 3-pound density foam supersedes all other toppers in its class and prevents it from flattening and losing shape over time. 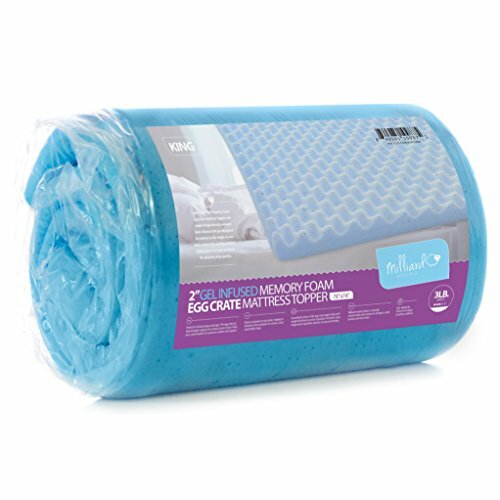 Allergy relief – Our CertiPUR-US® certified memory foam is naturally hypoallergenic with anti-microbial qualities that provide relief for allergy and asthma sufferers.The EGG CRATE TEXTURE supports heavy compression points as your body rests, and contours lesser points of contact to improve your sleeping posture and encourage more restful sleep. Can help improve circulation and reduce bed sores. Cooling effects – Unique open-cell technology and gel infused beads work together to regulate sleep temperature and increase ventilation while you sleep. Perfect fit – Designed to fit under tightly fitted sheets. King Topper Dimensions: 78in. x 74in. x 2in.